1. 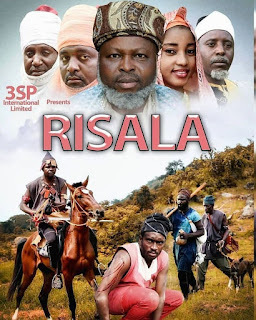 Do you think the relegation of Kannywood has anything to do with the social, political and tribal sentiments in Nigeria? And why? I think the sentiments you mentioned play a role, but they are not to blame squarely. First, there is a widespread belief that Hausa people are less educated compared to other (southern) ethnic groups in Nigeria. Therefore, many people think, wrongly though, that nothing good – such as their films - may come out from them. The fact that Kannywood’s movies are 95 or more per cent in Hausa makes this belief all the more plausible. I have read and heard several people, especially on social media and conferences, arguing that the Hausa folks cannot make films in English, hence their resolve to stick to their mother tongue. Secondly, the filmmakers’ action and inaction contribute to their marginalisation. Often, the films are nothing to write home about. They fall short in many respects right from the storytelling and plot, cinematography and so on. 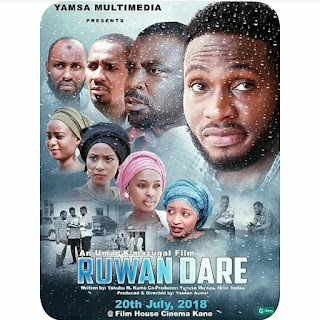 In instances where the films are subtitled in English, one finds unpardonable grammatical bloopers to the extent that no non-Hausa audience can understand the dialogues. 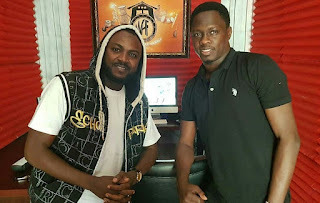 This, unfortunately, gives detractors of Kannywood a reason to condescend their films all again. 2. Apart from Africa Magic Hausa and a few other outlets, Kannywood has a distribution problem, in your opinion, how best can this be tackled? Film industries in many developing countries have problems with distribution. Kannywood’s, though, may be called acute. Known to all is the fact that the CD/DVD market is dead. I recently surveyed how people watch films. More than 90 per cent of the respondents said that via their mobile phones and laptops. Allegedly, some filmmakers pirate their colleagues’ movies and upload them on YouTube or distribute them indiscreetly. This has led to the downfall of several hitherto vibrant producers and directors. Additionally, cinema-going is still largely discouraged in Kano. This is due to some religio-cultural beliefs attached to the cinema. I quite extensively discussed this topic in the book. The problem is not insurmountable, though. However, the industry lacks a committed leadership. While trying harder on the cinema showing, I suggested that they should resort to online video streaming platforms like Netflix, iROKOtv, etc. Committees have been formed, but none has yet come up with an action plan. The problem persists. 3. How long did it take you to gather materials for your book? Several years. As I mentioned in the preamble of the book, I was introduced to the critical study of film in 2012. However, I started writing what later became a portion of this book in 2014 with a review of a movie titled Aduniya. I was then in India doing a master’s degree in Theatre and Television. The film was widely promoted. Many people were eager to see what the “imported” director came with. I ended up disappointed. That behoved me to put down my thoughts on paper. I was optimistic that the director would somehow see that and improve on his next project. I went on to do my dissertation partly on film. I received much support and encouragement from Prof. Abdulla Uba Adamu, the current Vice-Chancellor of NOUN, among others in gathering materials for the book. 4. What were the major challenges you faced during the course of writing? Some, nay, many people bash almost everything Kannywood. From close friends, colleagues and the rest, I was repeatedly dispirited and ‘advised’ to change my focus away from Kannywood. In one of my unpublished academic articles, I described Kannywood as an illegitimate child, in societies like ours, to its mother. She loves and hates it, and she cannot throw it away. This is the situation this film industry survives in. The Kano Film Village imbroglio is still fresh in our memories. 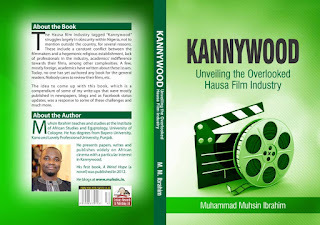 So, these are some of the hurdles I had to cross to come up with a book on Kannywood, the first of its kind. 5. 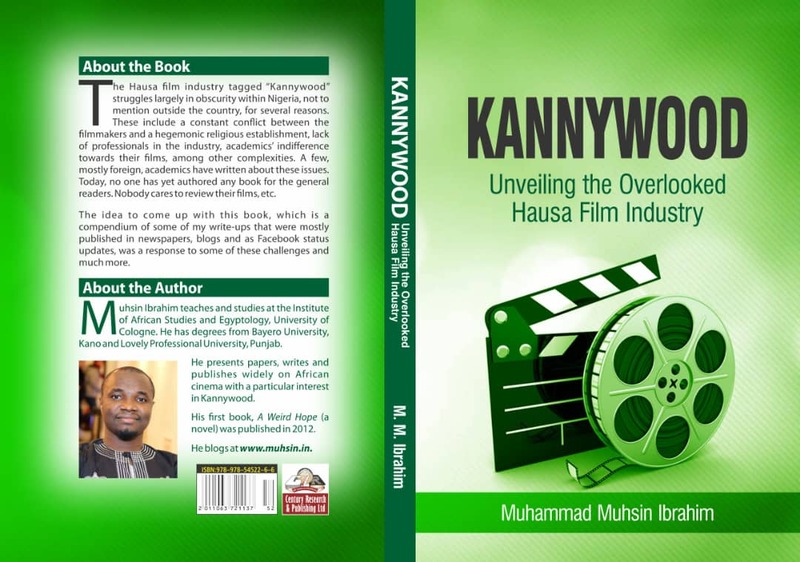 What call-to-action will this book present to stakeholders about the growth of Kannywood? Stakeholders include government, filmmakers and audience. The book addresses a spectrum of an issue. In short, it calls on the government, academics, journalists, Islamic scholars and the general public to revaluate Kannywood. The film industry deserves more than our usual denunciation. The film is a vehicle for culture, identity and image laundering. The outside world, in particular, views a Hausa man in the way and manner Kannywood movies portray them. The earlier we understand that film has come to stay the better. This, therefore, calls for the stakeholders’ serious intervention. Let me single out my calls to the government and fellow academics. Nigeria has recently overtaken India as the poverty capital in the world. Massive employment is among the leading causes of this sad, unfortunate development. Thus, the government should empower Kannywood for it provides jobs to hundreds of thousands of youth. It will reduce not only poverty but also the security threat facing the country, particularly the north. Academics should realise that Kannywood, as well as their movies, are study-worthy for several reasons such as their historiography, economics, aesthetics; linguistic, media and cultural values, etc. Students should be encouraged to conduct researches on these aspects and more. Likewise, the Association of Nigerian Authors (ANA) should boost film reviews and criticism as it does fiction and non-fiction books.